In our procedures a hypo-allergenic pigment is implanted into the skin that will generally last up to 2 years. We work with all the latest techniques to ensure your new long-term brows look perfectly natural. Say goodbye to getting up 15 minutes earlier every day just to draw on those perfect brows. A new set of personalised, perfectly natural looking semi-permanent eyebrows in less than two hours. Buy Now, Pay Later with Zip Pay. MienBrows now offers interest free finance through ZipPay. We only use the latest techniques and best equipment ensuring that you get that perfect, natural look you have in your mind. Our most common request. 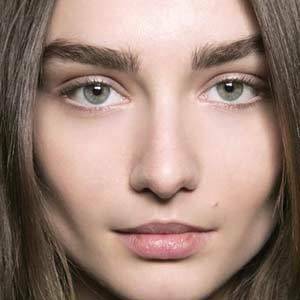 To simply improve the overall aesthetic of a face by perfecting the eyebrows. One of the most rewarding things we do at MienBrows is helping people with Alopecia by re-creating their eyebrows. Eyeliner tattoo , eyelash enhancement tattoo, Lip enhancement tattoo and lip blend tattoos. The ladies at Mien Brows definitely know what they’re doing!! You walk in to a bright and modern studio and will be greeted by Gina who is equal parts warm and classy.I got microblading done a few months ago courtesy of the lovely and very professional Diana. Using their golden ratio technique, Diana recommended a shape that was flattering to the shape of my face and features. She also recommended a color (they have a good range of pigments!) which works out well with my skin tone and hair color. Obviously each individual would have a preferred shape, style, and shade - fear not because Diana will work WITH YOU to make sure you are happy with your new brows. I have a very low pain tolerance (read: massive sook) and Diana was such a sweetie throughout the entire process (note to fellow sooks who are considering microblading: IT IS WORTH IT! ).After the procedure, Diana talked me through the healing process and post-procedure care (very important!). Not only was I very happy with the look of my “new” eyebrows but also quite pleased with quality of service at Mien Brows!I had been back recently for a microblading touch up and got shading done as well. My eyebrows look bolder and more defined yet still very natural. Best part is I can say “I woke up like this” and wouldn’t be lying! Mien Brows is the epitome of professional, high quality work and excellent customer service. I had a wonderful experience during my eyebrow microblading treatment and first perfecting session with the talented and friendly Tasha. The whole process was lovely and Gina was a joy to deal with. I couldn't be happier with my brows, and the added confidence it has given me. I couldn't recommend Mien Brows more highly. Diana, Gina and the team are true professionals, provide ample information and ensure you are well informed about the process prior to the procedure. The execution itself was perfect and the very talented Diana is a pleasure to deal with. For anyone who is hesitant to follow through with having feathering/ microblading done and has questions to be answered, I recommend you contact the team at Mien Brows. I had my eyebrows micro bladed and tattooed by Tasha. There is no doubt she is very experienced and knows exactly what she is doing. The whole process is explained in detail and I was made to feel very comfortable, safe and at ease. Gina who helps run the day to day is very professional and friendly, and she follows up after the procedure to ensure I was healing properly. I will continue to go back to MienBrows. I visited Mien Brows after looking at the fantastic google reviews they had.I always wanted my brows to be micro bladed but was scared on having them done and where to go for them to be done.After meeting with Tash for a consultation I booked in for the first session. Still not knowing what they were going to look like I listened to everything she said and put my trust in her.I walked out of the first appointment so happy and was definitely the best decision I have ever made!I've just had my second session and they are even better than the first.I will be back again for touch ups and can highly recommend this company to anyone wanting there brows done. I was so nervous but I have never been happier and its made my makeup so much quicker to be done. I have never received so many compliments on how good they look.Thanks Tash, and Thanks Gina for your amazing customer service. You made me feel welcomed for the time I stepped in the door! As anyone should be, I was a little reluctant about having this procedure, because let's be real, it's on the face and if anything goes wrong - you're screwed. I have wanted this done for ages, and after researching and finding Mien brows, I am so glad I didn't go anywhere else! Tasha and Gina were so lovely, welcoming and made my brows look FAB.I am really happy with the results so far, and it has made SUCH a difference to my face shape. I even don't need to wear much makeup so it's all round worth it. Thanks guys for doing such a great job! I have been envious of women with perfect brows. After researching I finally decided I would take the plunge. Deciding on Mien Brows to do my brows, I made an initial appointment mid October. I’m allergic to nickel, so I had to do a patch test to start with. Fortunately after a few days all was clear so I went in for my appointment. The team explained everything to me, so I knew after 6 or so weeks I’d need a top up. I have now had both the initial and top up sessions, and I can happily say that I love them. If you’re looking for somewhere to experience microblading, I can fully endorse Mien Briws. I was a little nervous going forward as the thought of a tattoo on my face is something you don’t want to jump hastily in to. But from the moment I walked in, I received a warm reception by professional and friendly staff who made me feel incredibly comfortable. I am highly impressed with my microblading results and so very happy that I chose Mien Brows to make my eyebrows dreams come true. Thank you ladies! I have been really hesitant to try eyebrow feathering but got sick of drawing it. Found Mien Brows and decided to give it a go. I have been dealing with Gina and Tasha. Great customer service. Tasha did a great job on my eyebrows. I've received great compliments. It is pricey but I'm so glad I went with Mien Brows. I've seen eyebrows done from a different place and they were terrible. Thank you Ladies. A very professional experience. The information given before my treatment was really useful and I felt relaxed and comfortable whilst having the treatment. Treatment takes place in a stylish, clean therapy room and the little after care bag was a great touch. Highly recommend! After reading all the fantastic reviews I decided to contact Mien Brows and give it a go. Gina at the reception answered all my questions patiently over the phone and I feel very comfortable to go ahead. I had my brows done by Diana and I couldn’t be happier. My new brows look so natural and the shape and color is just perfect. Diana is very professional, patient and experienced. She listens and delivers what you want, and the results are amazing. Thank you Mien Brows! Thank you Natasha for your guidance, your professional advice and a perfect result! 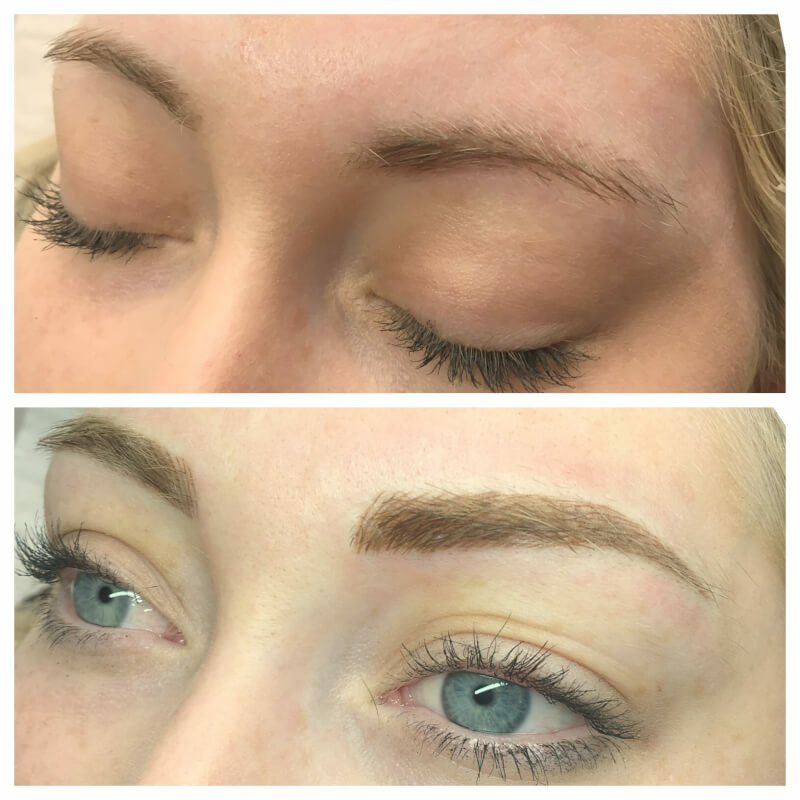 It took me some time to take the plunge and try micro-blading but once I sat down at Mien Brows I felt reassured and knew I was in good hands. Natasha is very skilled, professional in every way and took her time to answer all my questions. I love, love, love my brows and my experience was great from the moment I made my appointment over the phone. Thank you also to Gina for your efficiency and making me feel comfortable from the start. Absolutely fantastic! I was really nervous coming in but Gina at reception made me feel at ease and Nicole kept me comfortable during the procedure. Lovely and friendly so the time flew! Since then I have received so many compliments and my confidence has gone up as my eyebrows were really bothering me for a while.Thank you so much Mien Brows - you’re a face saver! Highly recommended! I highly recommend Mien Brows for all of your eyebrow (lips, eyeliner etc) tattooing needs. Diana was in every way professional, knowledgeable, personable and fabulous at giving me full and beautifully shaped eyebrows! Gina was amazing at answering any and all of my questions prior to and at the time of my appointment. The ladies at Mien Brows made the entire experience wonderful; I felt confident in their abilities and my results are amazing! *Just because microblading services are offered at a place does not mean that the individual is qualified or competent to tattoo your face, do your research and then call Mien Brows, you won't be disappointed! Thank you to Nicole for the amazing job on my brows. Nicole is a perfectionist and ensures excellence is achieved each and every time. Thank you also to Gina for always warmly greeting me on arrival. I highly recommend Mien Brows. Very positive experience. Diana’s work was subtle and refined. She enhanced the natural fullness of my brows, matching color spot on and covering up a scar I’ve had since childhood. I don’t need to pencil any more, or wear makeup to even them out. Beware the ink looks darker at first... but settles down after a few days. I love the end result! Getting cosmetic tattooing done can be a big decision. Rest assured that at Mien Brows you are in the hands of professionals. Diana is such a perfectionist, she uses scientific techniques to ensure that you get the most symmetrical and beautiful brows to perfectly frame your face. I highly recommend her services. The reason I went to Mien Brows was as a result of all the good reviews. From the moment I called to the time I attended for my appointment, Emily at front desk was extremely helpful and welcoming. Nicole explained the process and performed the procedure professionally and extremely well. I could tell right away that Nicole was very experienced and knew what she was doing. I have a perfecting session in a few weeks and looking forward to that. I am very happy with the end result and highly recommend MienBrows. My experience with Mien brows has been fantastic. Diana did a great job, taking her time and making sure everything looked natural. It’s been nearly four weeks since initial session and people are still giving me compliments. I highly recommend Mien brows to anyone thinking of eyebrow feathering. I am thrilled with my brows and my whole microblading experience with my stylist Diana. After years of stressing about my patchy brows they are fuller and finally have shape! I was tossing up the idea for a long time and I was pretty nervous about the process but Diana took the time to explain every step and detail to me over the phone and answered every question! As soon as I walked through the door Gina made me feel comfortable and the whole process was easy and enjoyable. Diana works magic!!! Worth every penny. After my second visit and I must say, Mien Brows never disappoints! Not only did I feel confident in how my brows are looking, Gina and Nicole went above and beyond by making sure I felt comfortable and at ease throughout my experience. I’d highly recommend Mien Brows! Being a natural blonde, I always envied brunettes with lovely thick eyebrows. I've spent hours of my life penciling them in. Since having the treatment, I wake up with eyebrows, can confidently leave the house without make-up and they don't sweat off at the gym! Thank you to the team at Mien Brows for their professionalism and skills. I'd highly recommend them. We knew from the moment we walked in for our free consultation till after the procedure we would be treated well. 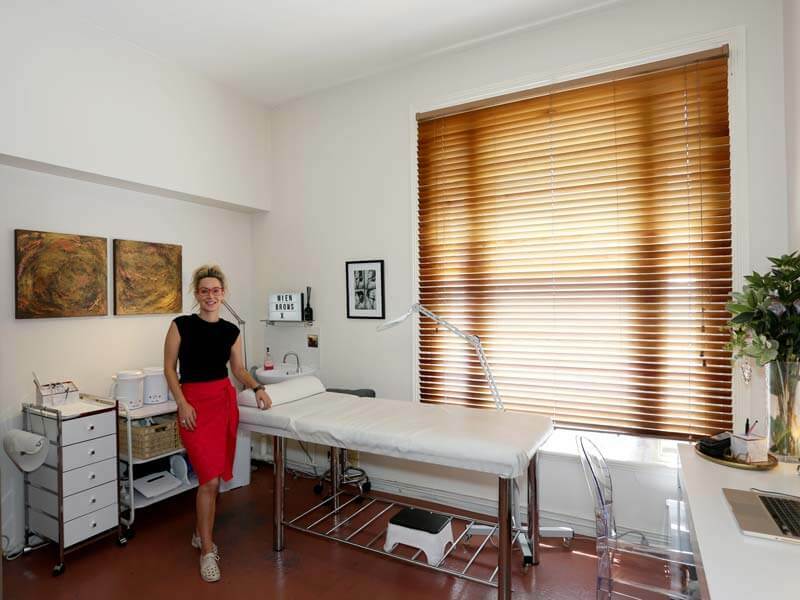 The combination of the atmosphere in the studio and Nicole and her team’s wonderful bedside manner made us at ease. They are thoughtful, honest and properly explain what to expect so you won’t be left surprised. Not to mention Nicole is fantastic at understanding her clients. My mum is so happy with her eyebrows, they are natural and gorgeous. We have no apprehension to recommend Nicole to all our friends! I am absolutely thrilled with my eyebrows! Nicole went through the whole process in detail and made me feel incredibly comfortable and confident throughout the procedure. I couldn’t recommend Nicole more, very professional and lovely. Thank you Nicole, looking forward to my perfecting session! It has been awhile since my last visit - why did i wait so long? Loving my eyebrows post 3 days now. Nicole is such a perfectionist, made sure I was happy and she was happy before i left. The attention to myself as a client was top notch before, during and after my appt. Lovely calming atmosphere in the salon. I highly recommend visiting Mien Brows, Nicole will certainly answer all your questions and make you feel confident in what you are about to undergo. Love your work Nicole, thanks so much. I had no idea what to expect but after my visit with Nicole I was absolutely amazed with how natural my eyebrows looked. Nicole has a beautiful presence about her and her work is flawless. I have been going to Nicole for just over 2 years now and have set touch up sessions with her on a regular bases. I would 100% recommend anyone to visit Mien Brows. I couldn’t highly recommend Nicole enough. I was very nervous to have my eyebrows done, but she is very thorough and measured me face to make sure the eyebrows suited me whilst giving me a great shape. I have had so many compliments since then and can’t wait to have my perfecting session today. Gina is also awesome and very accommodating when I had to change my appointment last minute on a Saturday. This place is a real gem! A honest review after I had my eyebrows done by amazing Nicole.I could not be more happy,!! !I trust her from my first visit, she is experienced , professional, dedicated and her perfect symmetry for a natural look and perfect colour... Nicole just prefect...! Highly recommend Mien Brows . Absolute love my eyebrows!! This was my first time trying microblading. After extensive research and reading all the online reviews, I found Mien Brows. I was a tad nervous and hesitated a few times before I made the plunge. But no regrets! Nicole and Gina were amazing, they made me feel at ease straight away, I was reassured and well looked after. Nicole is a definite pro, love her work! See you in a few months. I am so happy with my new brows! It’s so natural and beautiful. I get so many compliments from friends and family! Thank you Mien Brows and Nicole for your fantastic job. Highly recommend Mien Brows to anyone who is thinking of feather touch brow tattoo. It is no fluke that Mien Brows has a 100% 5-Star rating on here, they are genuinely the best at what they do and I am so grateful to have come across them when I did. I've had the fairest eyebrows my entire life and have spent so much time, effort and money on trying to manage them at home, so my heart is filled with absolute gratitude for the love and perfection that the incredible Nicole (and beautiful Gina) were able to provide me with. Nicole has a wealth of knowledge that she will share with you, giving you a sense of comfort and reassurance that not only are you in the right hands but that your eyebrows are going to turn out exactly the way you want. Between my first session and perfecting session, I was taken care of via follow-up contact to ensure everything was going smoothly and of course it was. You're told exactly what to expect between the two sessions and provided with all the resources that you need for at-home care before you pop back in for your perfecting session. Nicole's attention to detail is incomparable. I'm now almost two weeks since my perfecting session and I can really see what my eyebrows are going to look like for the next 12 months AND I LOVE THEM! I'M SO EXCITED I HAVE AMAZING EYEBROWS! I can't wait to dress them up! I don't know if these ladies realise how much they are changing our lives. It is so nice waking up in the morning and looking in the mirror and feeling beautiful, and that's all thanks to you, Mien Brows! Thank you! I had my brows done in Mien Brows last week, and all I can say I have brows. Beautiful symmetrical brows for the first time in my life! Such a good experience, Nicole is very professional and attentive. My brows are still healing, but already have such a nice shape and shade. Great place, good price and very professional experienced master. Highly recommend!!!! Thank you Nicole, I am beyond happy with my beautiful new brows, it's been just over a week since I got them done and already they look better than I could have imagined! Nicole was very thorough in talking me through the process, after care and healing. She is clearly an expert, so professional, passionate and absolutely loves what she does, it definitely shows in all these 5 star reviews! I've already got friends asking for her details to get their brows done! Thanks again! I love, love, love my eyebrows! I was extremely nervous before my appointment-not only about the procedure but also the final outcome. Not necessary at all. Nicole was patient, calming, talked me through every part of the process and is incredibly talented. I have and will continue to recommend Mien brows!!! Thanks Nicole for making my eyebrows so beautiful. I love them. Nicole is very professional and I felt comfortable through the entire process. I would highly recommend MienBrows to anyone that want a natural, full looking eyebrows. Nicole was fantastic She's was beyond amazing. I was nervous about the discomfort that came with eyebrow feathering but Nicole made sure that I was comfortable at all times. Nicole understood my needs and I absolutely love my eyebrows. My family and friends have commented on how great they look. I will definitely be referring family and friends to Nicole. Thank you so much. The quality of my new brows make the world of difference. I feel comfortably waking up in the morning, feel less of a need for makeup, my face is beautifully framed, and I get compliments galore. What I really appreciated with Nicole were the amount of measurements/ratios according to your face included in the design for your brows. Mathematically calculated to suit you. Cannot recommend enough! I mean, look at that arch! I went to Mien Brows get my eyebrows redone after being unhappy with them being done at another place. Nicole's passion, expertise and skills are impressive and I couldn't be happier. My eyebrows are now fuller, symmetrical and well shaped. I particularly appreciated the time Nicole spent informing me about the process, answering any questions I had and making sure I was absolutely happy with the final result. Having an after care kit with post-care information was also really helpful and reassuring. I couldn't recommend Mien Brows more highly, thanks for my perfect eyebrows! After a lifetime of having fine, fair eyebrows I am delighted with my decision to have eyebrow feathering. I put my trust in Nicole and she didn't let me down....I have natural looking brows that suit my fair colouring perfectly! I would not hesitate to recommend Mien Brows for their skill and professionalism. I've just spent the last two years looking online and searching for someone who could feather my eyebrows. It's hard to tell who's really good. It's not something you want have done and it not be perfect. From the minute I contacted Nicole and her team they were so lovely and professional. The whole experience was made so much easier by dealing with such gorgeous people. I was a little nervous but mostly excited. I didn't push Nicole to shape my brows in a way that I thought looked good, I left it up to her to tell me the best shape. And she did it better then I ever could've. If you choose to go with MienBrows just trust Nicole to do what she does best. Totally worth it, I just wish I went here sooner! I am delighted with my new brows! Nicole enhanced the natural shape of my brows and increased their fullness. My brows look much more defined and fuller, while retaining a natural look. Nicole was professional and a perfectionist, showing great attention to detail. I would thoroughly recommend Nicole. Nicole's excellent skills make my brows better and better each time after the touchup session. I am very satisfied and more than happy with my brows.Highly recommend Nicole and her team to anyone who considers to get their brows done! These are the most common ones we get. If you would like to know something else, give us a call and we will happily answer any questions you may have. 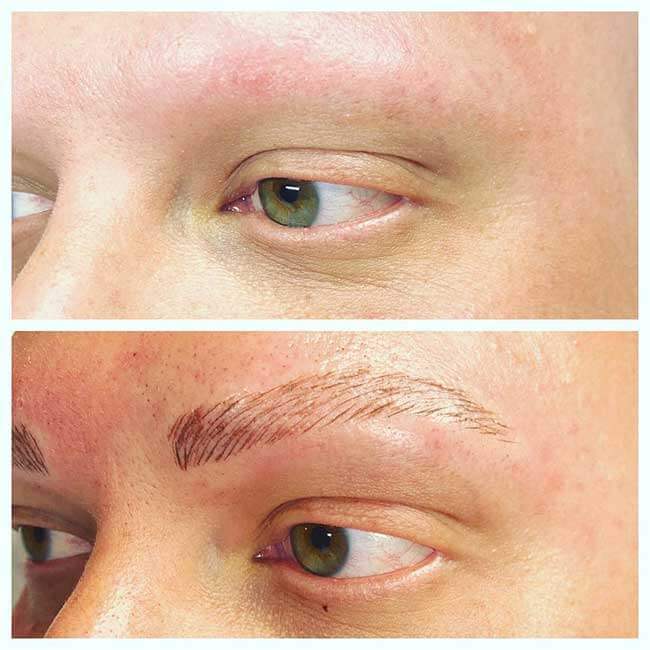 Microblading, also known as Feather Stroke Tattoo, is a form of Cosmetic Tattooing. In this process, we implant tiny hair like strokes into the top layer of the Dermis of the skin, using a one-use sterile hand tool. This is a semi – permanent process, as pigment is implanted on a superficial layer of the skin, which lasts up to 12 months, depending on your skin type. 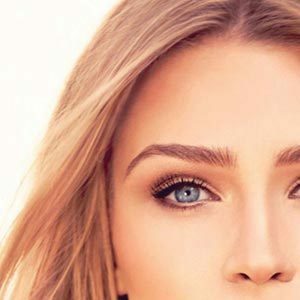 The Ombré technique is a soft and misty powder filled brow, similar to a brow powder makeup look. The tails of the brows will be darker and fade into a softer look towards the front of the brow. If you are pregnant or breast feeding, it is advisable that you do not go ahead with this procedure. If you are prone to Keloid Scarring. If you are suffering from any major health conditions. If you have any allergies to hair dyes, makeup or jewellery. If you are taking medication. If you are currently undergoing Chemotherapy treatment, you will need your Doctors approval, and a letter from your specialist. 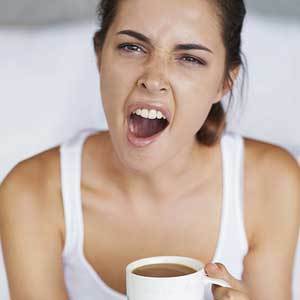 We advise not to consume Aspirin, Ibuprofen, caffeine or alcohol 24-48 hours prior to your procedure and fish oil one week prior. However, do not discontinue any medications before consulting your Doctor. Tattooing will not be performed over blemishes, sores and moles around the brow area. Avoid cosmetic injectables, microdermabrasion, skin peels etc at least two weeks prior to cosmetic tattooing and two weeks after. If you are sick with a bacterial or viral infection, you will need to call us immediately to reschedule your appointment. If you have any of these contraindications, you must phone us for a personal consultation on 1300 627 697. What will affect my Tattoo? Sun exposure, the regeneration of skin cells over time, skin type, the choice of colour, and bleeding during the procedure will affect the final result of your treatment. When the skin bleeds more during the procedure, pigment is pushed out of the skin, therefore retention is poor. To avoid this make sure you avoid alcohol 48 hours prior to treatment, and if you are on blood thinners to let us know prior to treatment. Long term, your new brow tattoo will fade and shrink over time, therefore yearly touch ups are advised to keep your tattoo looking fresh. Yes, we are registered with the local Health Council, and have procedures in place to maintain a sterile safe environment for our clients. We only use one use disposable needles and supplies. Please carefully read the Terms & Conditions prior to booking. ONCE YOU BOOK, YOU FULLY ACCEPT THESE TERMS. *Please allow 3 days’ notice for rescheduling of appointments-failure to give less than 3 day’s notice or a ‘no show’ to your appointment may result in a loss of your appointment or additional charges may occur. Once you have started the cosmetic tattoo procedure, there are no refunds given to change of mind. Your deposit payment of $149.00 to secure your booking is non-refundable. Please arrive no later than 15-minutes to your appointment. We may have to reschedule your appointment and you may lose your deposit or additional charges may occur. Prior to your procedure, please do not consume any alcohol, caffeine, aspirin or ibuprofen up to 48 hours before and fish oil supplements one week prior. As this may cause excessive bleeding during your procedure and can affect your results. Please let us know as soon as possible if you are sick with a viral or bacterial infection. Prior to your microblading procedure we recommend you avoid any cosmetic procedures two weeks before and after your appointment with us. This includes cosmetic injectables, skin peels, microdermebrasion etc. If you have an upcoming surgery, or recovering from surgery, please contact us immediately as this will affect your appointment. We apply an anaesthetic cream prior to your procedure, and continue to keep your brows, eyes or lips numb during your procedure to keep you comfortable. Pain thresholds differ from person to person; however, every effort is made to keep you as comfortable as possible. How many treatments are required and long does it last? For most clients, a minimum of two treatments is usually required, at least 6-8 weeks apart. Straight after your first treatment, your new tattoo will look amazing, with no swelling and minimal redness and discomfort. 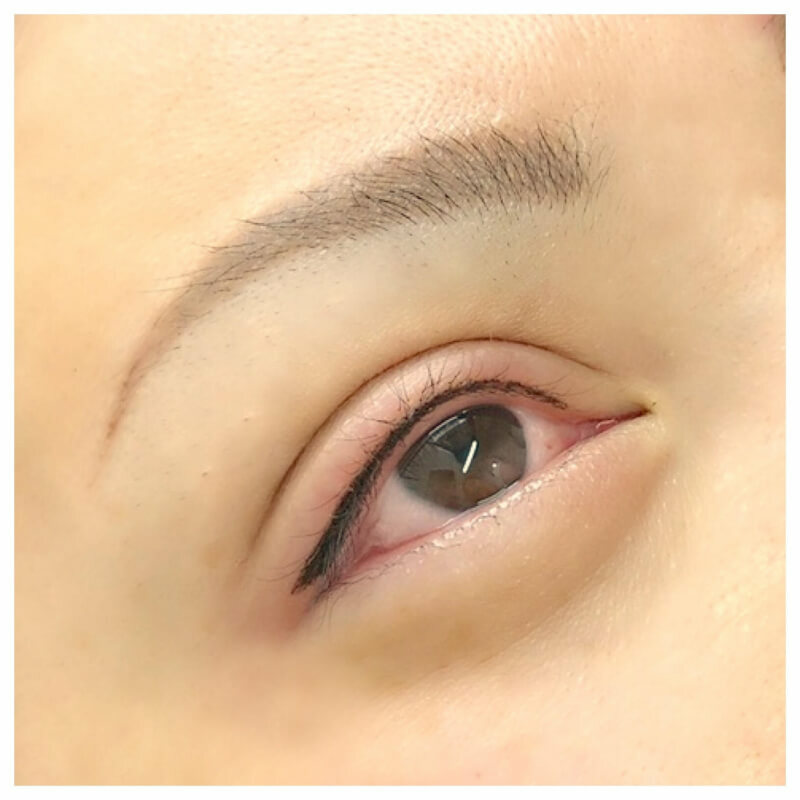 On day 2 – 5 your brow tattoo will appear bolder and darker, as the area that was treated will slightly scab. During day 1 – 4 you must apply a cream that we provide to the area, morning and night, and when showering to protect the area from infection, and to quicken the healing process. This means you cannot wet your brows in the shower or when cleansing your face for the first 4 days. On day 5 you can treat your brows as you would normally – cleansing, makeup etc. During week 2 – 4 your brows may appear to have lost some hair strokes! This is normal, and just part of the healing process. These hair strokes re surface during the 4th week after treatment. To make a booking phone us on 1300 627 697 or book online via our website. Please read the contraindications and terms and conditions before booking in for the procedure. If you have an existing Cosmetic Tattoo, please send us through a photo of your eyebrows, eyeliner or lips in natural lighting without any make-up on. We can then assess if you will have to get your old tattoo removed first. We can recommend a safe clinic for Cosmetic Tattoo removal.